New York State homeowners have been paying into an energy efficiency fund for years and now it’s time to cash out! On every utility bill there is an additional tax or charge, usually referred to as a System Benefits Charge (SBC) or Efficiency & Renewables Charge. 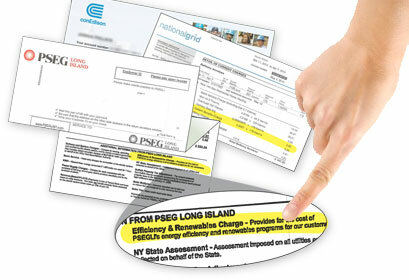 This additional charge is used to partially fund New York State energy efficiency programs. As there are no guarantees for energy savings. J Synergy Green takes full advantage of the tools provided by PSEGLI, the U.S. Department of Energy, Honeywell, Conservation Services Group (CSG), Clearesult, the Building Performance Institute (BPI), EmPower, and state-of-the-art software to provide our clients a scope with an estimate energy saving solutions, maximum funding opportunities, and the best experience in upgrading home energy efficiency to help lower utility bills. 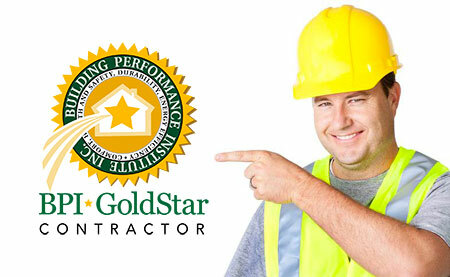 We are a BPI certified Goldstar member, meaning that we follow the highest standard of workmanship, quality control, process and results. This also means that we are regularly inspected for quality assurance in order to provide the best service for our clients. 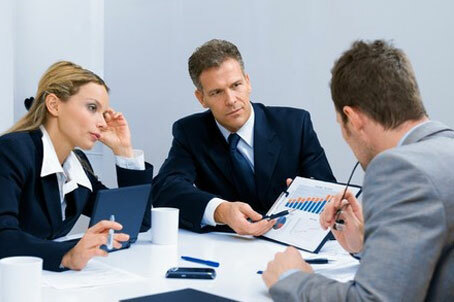 J Synergy Green ensures that every client gets the attention they need and then some. Client clarity on what is being done and what the effect of every improvement measure is an emphysis in our process. Keeping an open line of communication is vital to our operation, allowing us to understand each client’s needs while simultaneously allowing them to share any apprehensions or concerns. At J Synergy Green, our job isn’t complete until our clients are satisfied, and we maintain communication after even after completion.